Anis Amri, the Tunisian terrorist responsible for the attack on a Christmas market in Berlin, fled from Germany to the Netherlands after his vicious crime. In the Netherlands, he took a bus to the French city of Lyon and then took a train to the French Alpine town of Chambery. Finally, he headed to Milan, Italy, where he was shot by the Italian police. People are shocked that this terrorist could travel through 3 countries without being detected. •and the Koran will be banned. Wilders is dead serious about implementing these proposals if elected in March. But to do so he will need more political support from other party members. The country’s system of proportional representation means that he would need to form a coalition government, and the other parties have vowed they will not rule with him. 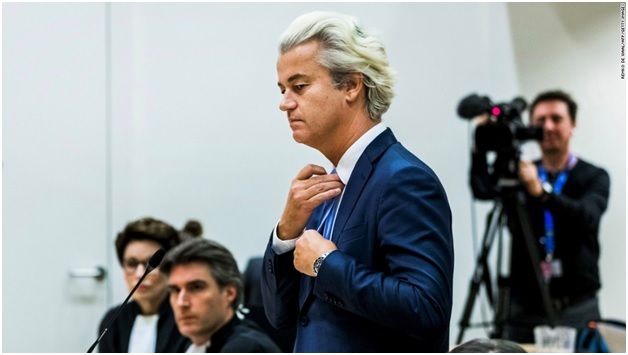 A big political fight is unfolding in the Netherlands. Retired US Marine Corps four-star Gen. James Mattis. ‘The press takes Trump literally, but not seriously. Voters take him seriously, but not literally.” This, by Salena Zito, was the smartest thing written about the 2016 election and deserves a place in every dictionary of quotations. Now let me give you some advice about General James Mattis, who has been named Donald Trump’s secretary of defence. Take him both literally and seriously. Mattis is a dictionary of quotes in his own right. I like the way he meets and greets. “Do not cross us. Because if you do, the survivors will write about what we do here for 10,000 years.” –With Mattis, however, you get much more than just words. You get deeds. As the commander of the 1st Marine Division in the 2003 invasion of Iraq, Mattis earned a daunting reputation as a master of kinetic warfare. During the push to Baghdad, he relieved a colonel of his command for not advancing fast enough. In 2007 he wrote, with General David Petraeus, the Counterinsurgency Field Manual, the template for the successful “surge” in Iraq. So fond of combat was Mattis that the marines’ affectionate nickname for him was “Mad Dog”. Secretary of state is the toughest call and Trump is right to weigh his options. The former presidential candidate Mitt Romney bad-mouthed him during the campaign and is on the record as a Russia-basher — hardly the ideal candidate when the No 1 item on Trump’s foreign policy agenda is to do a “great deal” with President Vladimir Putin. As a strategist, Petraeus is up there with Mattis, but it may be too soon after his rap for unauthorised disclosure of classified documents, and another general might give the administration the look of a junta. The former mayor of New York Rudy Giuliani is a Trump loyalist who badly wants the job, but Senator Bob Corker looks the safer bet. Yet Mattis at defence could prove to be the most important appointment of all. True, the secretary of state usually gets more headlines. But, as Donald Rumsfeld proved (for better and for worse) under George W Bush, the man who runs the Pentagon has more resources by far at his disposal and can easily turn that military muscle into political power. It is in Trump’s interests to make Mattis his right-hand man. Here’s why. As president, Trump has the enticing opportunity to fix America’s broken foreign policy. 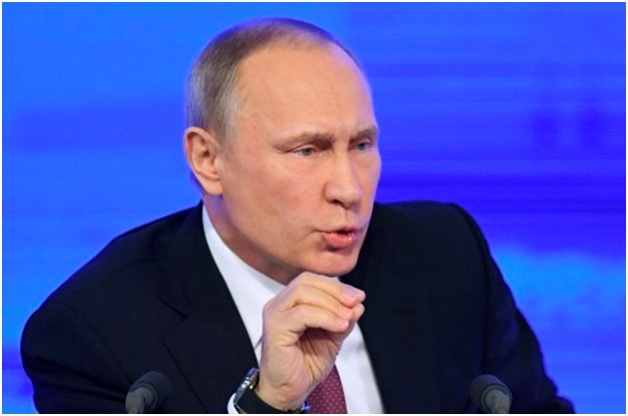 His deal with Putin could end the war in Syria and resolve the not-so-frozen conflict in eastern Ukraine. A comparable deal with China could address the economic grievances of Middle America while creating a new basis for peaceful coexistence with the Middle Kingdom, addressing key flashpoints in the Asia-Pacific region such as North Korea, the South China Sea — and Taiwan. The Trump presidency can also change the game in the Middle East by abandoning the Obama administration’s ill-conceived tilt towards Iran. And it can jolt continental Europeans out of their complacency, so that Nato ceases to be an alliance paid for by Americans and taken for granted by Germans. However, to achieve all this will require more than Kissingerian diplomatic skill; it will also need the credible threat of force — for without that, America’s enemies and allies alike will take advantage of the businessman Trump just as they took advantage of the law professor Obama. This is where Jim Mattis comes in. First, Mattis has unrivalled credibility. It is not only marines who love the man. Even Michèle Flournoy, who would have had his job if Hillary Clinton had won, speaks of him with reverence. Second, Mattis is a hawk on Iran. Indeed, some say it was his readiness to contemplate military action against Iran that led to his being sacked from US Central Command by President Obama. He is unrepentant. In a lecture in April he called the Tehran regime “the single most enduring threat to stability and peace in the Middle East”. Nevertheless, he argued against ripping up Obama’s nuclear deal with Iran. Mattis will advise Trump to keep the agreement, but to punish any future Iranian breaches of it with military retaliation. He will also propose tougher action against Iranian regional proxies, notably Hezbollah. Third, unlike Trump, Mattis has no illusions about Putin. He has spoken out against the Russian invasion of Crimea and eastern Ukraine in 2014, and has implicitly criticised the Obama administration for not being tough enough. Finally, Mattis has a playbook for the Chinese, too. In his testimony before the Senate armed services committee in 2015, he stated that “efforts in the Pacific to keep positive relations with China” must be “paralleled by a policy to build the counterbalance if China continues to expand its bullying role in the South China Sea and elsewhere”. Theodore Roosevelt’s mantra was to “speak softly and carry a big stick”. 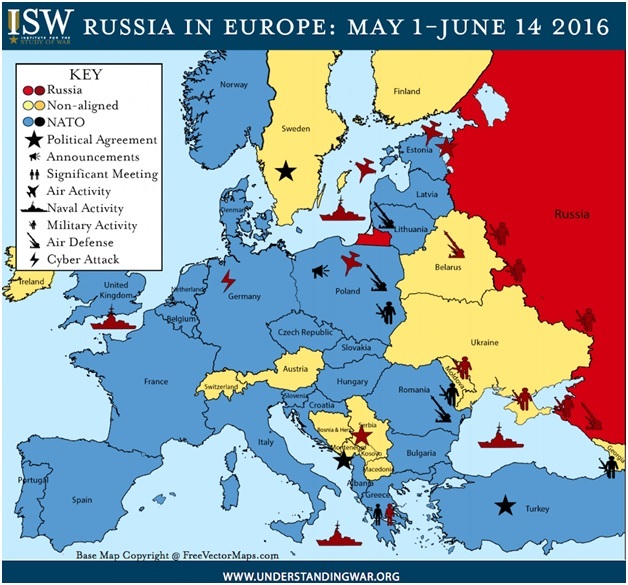 Under Obama, the US has lectured loudly and carried a limp twig. All that is about to change. 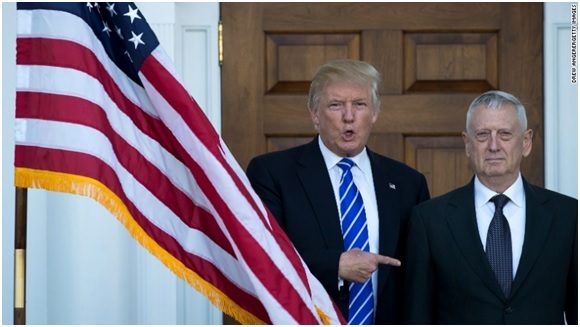 Unlike Trump, Mattis speaks softly. And that big stick he carries is sharp, too. Take him literally. Take him very, very seriously. Will the President listen to wise counsel from Mr. Mattis; that is yet to be seen. Clearly the post is of Secretary of Defense is not a small token responsibility: “Plans are established by counsel; by wise guidance wage war”—Proverbs 20:18. 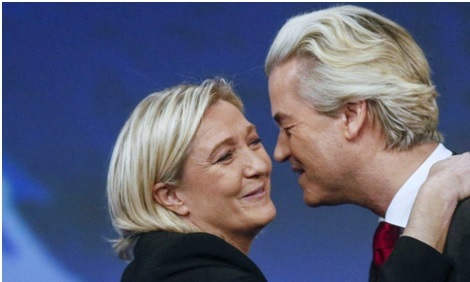 Marine Le Pen (L), France’s National Front political party leader, kisses Netherland’s Geert Wilders, president of PVV (Party for Freedom) during the far-right French party’s congress. The financial crisis of 2007–8, and the subsequent real-estate downturn caused households in the United States to lose trillions in wealth and led unemployment in countries such as Greece and Spain to rise to 20 percent and more, where it has remained ever since. It is barely unexpected that following the worst economic crisis since the Great Depression, the populist/nationalist movement is surging over in Europe. The financial contagion of 2008-savaged Europe (creating high unemployment); crushed the world’s appetite for Chinese products and finally undercut the world market for oil. The effects of 2008 financial storm has steered countries in Europe in the direction of Nationalism, which is anti globalism, Nation-first thinking. Nationalism helped elevate Donald Trump to the Presidency. The nationalist surge can be seen in countries of widely differing circumstances, from prosperous Sweden to crisis-ridden Greece. For many, this new form of populism is fueled by resentment against the elite government politicians. Almost everywhere, Nationalism has captured the public’s attention. Nationalism is a form of Populism. It means different things to different groups, but all varieties share an anger and hostility toward elites, mainstream politics, and established institutions. Populism sees itself as speaking for the forgotten “ordinary” person and often imagines itself as the voice of genuine patriotism. “The only antidote to decades of ruinous rule by a small handful of political elites is a bold infusion of popular will. On every major issue affecting this country, the people are right and the governing elite are wrong,”—That was Donald Trump writing in the WALL STREET JOURNAL in April. Amongst a migrant crisis, lethargic economic growth and growing disappointment with the European Union, far-right parties — some established, others newly created — have been achieving electoral victory in a number of European nations. Citizens in America and Europe want more dramatic solutions and a bold, decisive leader willing to decree them. In the United States and elsewhere, there is rising support for just such a leader. This weekend I am watching closely voting outcomes in Italy and Austria. 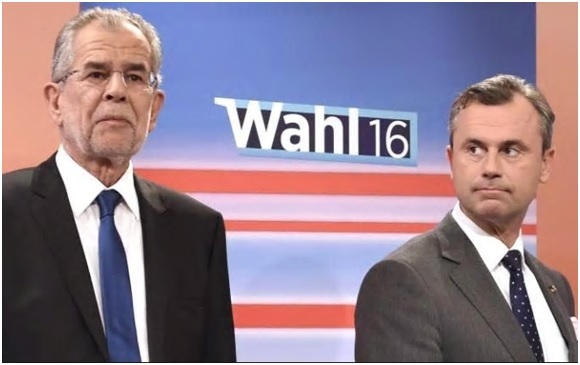 All the focus is on the Italian referendum but on Sunday the Austria presidential election rerun takes place and pits Green-party-backed candidate Alexander Van der Bellen against far-right populist Norbert Hofer. If Norbert Hofer wins he has promised to call a referendum on Austria’s membership in the EU. “Sanity instead of extremism” is his campaign slogan. It’s another sign that the open borders, open immigration; unguarded trade era is under attack. Each Nationalist success will embolden other right-wing movements in Europe. If Mr. Hoffer wins, it will be the first time that Europe elects a far-right head of state since 1945. Who comes to power in these countries is yet to be seen, clearly we have a fascinating year ahead of us. Nations and individuals ultimately reap what they sow: Do not be deceived: “God cannot be mocked. A man [or nation] reaps what he [or the nation] sows”—Galatians 6:7. This is a big weekend for Europe!